I recently had an opportunity of writing a cookbook review for our local newspaper, the Georgia Asian Times. The given book was The Vietnamese Market Cookbook by Van Tran and Anh Vu. The book inspired me to get back in my kitchen and started cooking more often at home. One of the very first recipes I tested from the book was Shoulder of Lamb with Vietnamese Miso. Instead of lamb shoulder, I used two racks of lamb David and I purchased from Costco. I made it and my toughest critics, my very traditional, very Vietnamese parents, loved it. Truthfully, I’ve always been intimidated by lamb. To me, lamb are usually made by kitchen experts and served in restaurants where table manners are required, and your meal comes with 10 different utensils, each with an unnecessary purpose. 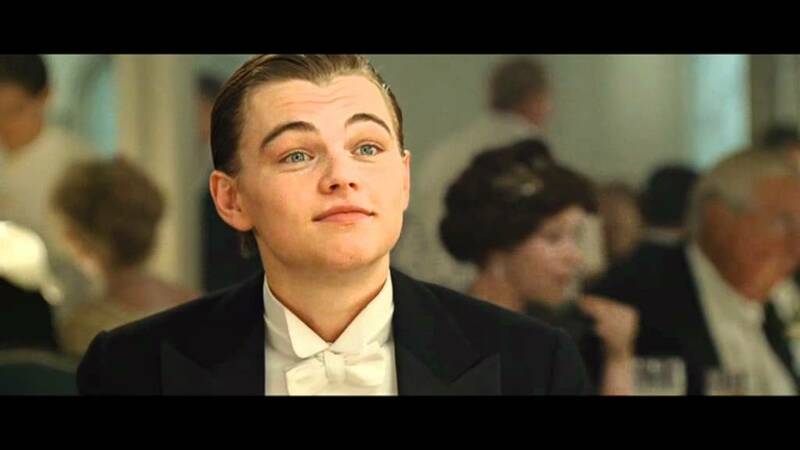 Like the lady in the movie Titanic said, just start from the outside and work your way in. Growing up, we never ate lamb. Partly because of the cost, and also because it’s not a common cut of meat in Vietnamese home cooking. This was my first time experimenting with lamb, and it was surprisingly effortless. Below is the recipe from the cookbook along with the recipe introduction by the authors. The only difference is the cut of meat I used. Soybean paste, made from fermented soybeans, is widely used across Asia. The Japansese have their miso, the Korean have their ssamjang, and the Vietnamese have their tuong ban. This marinade has an intense flavor and is Anh’s more experimental recipes. For best results, try to source an authentic Vietnamese soybean paste in an Asian supermarket or online. 1. If you’re using lamb shoulder, cut lamb into strips about 1 inch/2 cm thick. If you’re using a lamb rack, just leave it be. 2. In a large bowl, mix the vodka with the ginger and rub the mixture into the lamb strips. Then rinse the meat under cold running water and pat it dry with paper towels. This cleans the lamb and helps to remove the lamb’s odor. 3. Combine the soybean paste, galangal (or ginger), garlic, five spice powder, pear juice, shallot, sesame oil, pepper, and paprika in a large bowl or dish. Add the lambs, then cover the dish and place it in the fridge for an hour, or ideally overnight. 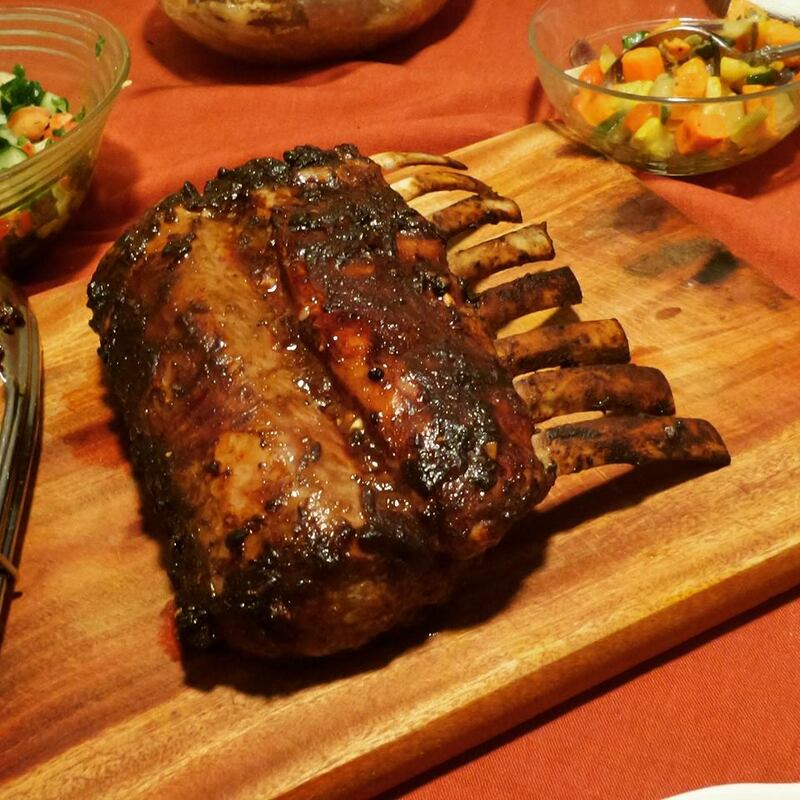 If you’re using the lamb rack, be sure to rub the marinade with the meat thoroughly. 4. If you’re using lamb shoulder: when ready to cook, thread the lamb pieces onto skewers. If you’re using lamb rack, no need for skewers. 5. Preheat your broiler or grill on high heat. 6. Cook under a hot broiler on a rack or roasting pan for 10 minutes, or until desired wellness. 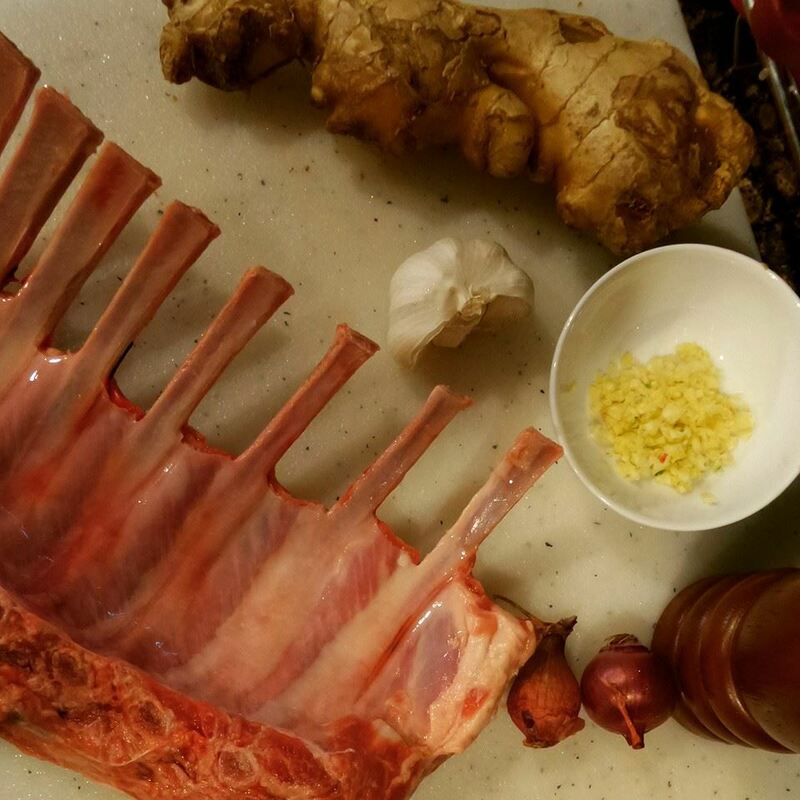 Make sure your meat is facing the heat source if you’re cooking with the lamb rack. If you’re cooking with skewers, rotate meat and cook for an additional 10 minutes. 7. You can also barbecue over a medium-hot charcoal grill or gas barbecue. For my full review of The Vietnamese Market Cookbook, click here. 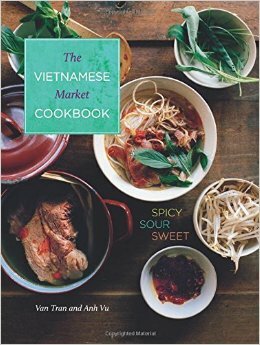 To purchase The Vietnamese Market Cookbook, click here.